Ready for another forex trading week? Check out these areas of interest on the daily charts of CAD/JPY and EUR/NZD and let’s get this bread, yo! Remember the potential support that we spotted a few days back? Well, it looks like more signs have popped up to support a potential bounce! 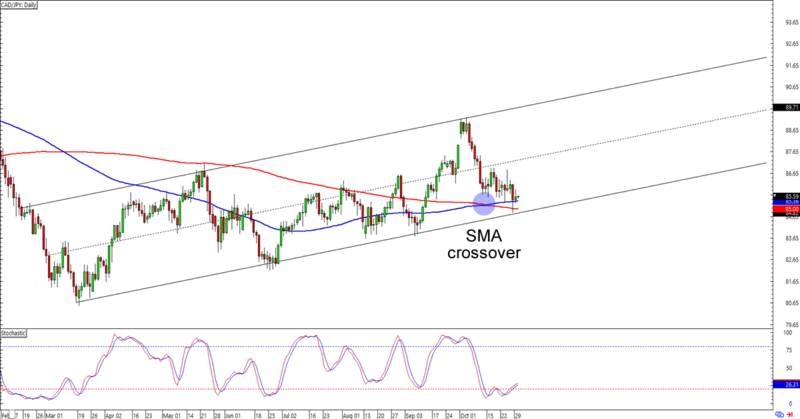 CAD/JPY is now sporting an SMA crossover, which is convenient since the pair is having trouble making new lows below the 85.00 handle and rising channel support area. Will Loonie bulls hustle some muscle this week? A long trade at current levels could give you a good reward-to-risk ratio especially if you aim for the previous highs near 89.00. If you don’t believe in selling the yen, though, then you could place your sell orders somewhere below the support levels that we identified and wait for a downside breakout. Whichever bias you choose to trade, make sure you practice good risk management, aight? Trend-traders huddle up! 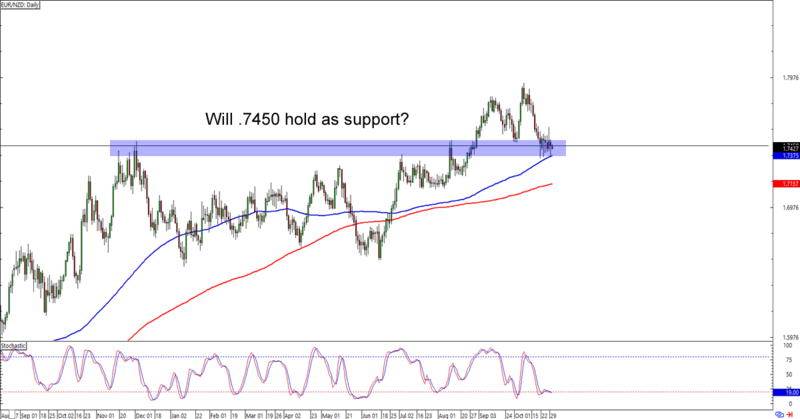 EUR/NZD is consolidating around the 1.7450 minor psychological handle, which is right smack at a 100 SMA retest and an area of interest that has been serving as support and resistance since late 2017. Buying at the earliest signs of bullish momentum is a good idea if you’re plannin’ on making a play for the 1.7850 previous resistance. Just remember to use wide stops, aight? Currency crosses tend to see more volatility than the majors, so make sure y’all don’t get caught up in them wild swings!